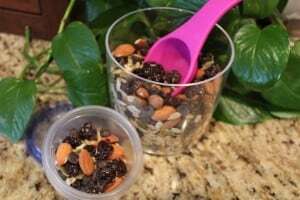 Yesterday I featured a yummy looking healthy snack, and today I am doing the same... only a different snack: Trail Mix Packing by JodieFitz.com. When I first saw this, I have to admit that I immediately scrounged around my pantry, looking for trail mix fixin's. Yum! Click HERE to visit Jodie's Post for some fun trail mix ideas!